Owner Win Jaehne honed his craftsmanship skills in Germany. He has an eye for creative designs and understands customer needs perfectly. He leverages his experience, knowledge and indeed his abundant creative ability to construct exclusive pieces that stand out from the mass produced and rather uninteresting furniture you normally see in showrooms. The furniture at W&B Upholstery & Décor is made to order, so no two pieces are alike. Customers communicate their specifications and the final product is one that is perfectly tailored to their requirements. Win is also happy to share his insights and suggestions to ensure that the end product is superlative on all counts. And while W&B Jaehne Upholstery & Décor specializes in creating different kinds of furniture, custom-ottomans are much requested by customers. Stunning and comfortable ottomans from the furniture maker can also be custom ordered to be hollow for storing items. Quality is paramount at W&B Jaehne Upholstery & Décor. This is one of the mot important reasons why Win enjoys repeat customers; they know that they are getting their money’s worth of style, comfort, durability and tailored solutions when they go with W&B Jaehne Upholstery & Décor. Win uses natural hides and fabrics to ensure that that the created furniture pieces are sturdy, long-lasting and exude quality construction. The incorporation of natural fabrics in the furniture making process is also environment-friendly, and you can be happy knowing that Win is doing his bit to cut down the use of synthetic material. This apart, natural fabrics are inherently strong and hold up wear and tear better than their synthetic counterparts. 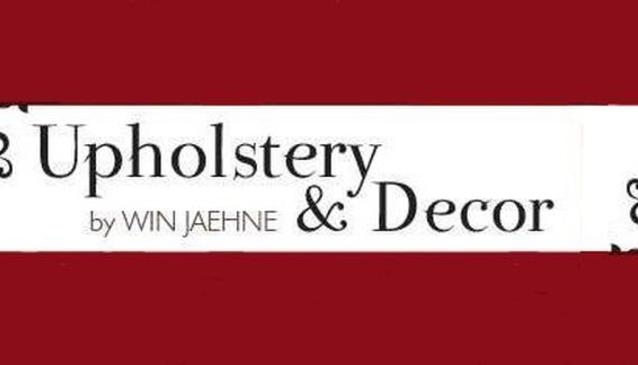 W&B Jaehne Upholstery & Décor has the experience and skill to undertake custom upholstery and décor projects. Whether you want exclusive and one-of-a-kind furniture for your resort lounge or wish to create the right impression with custom furniture in your client meeting room, you can rely on the specialists at W&B Jaehne Upholstery & Décor to craft pieces in line with your expectations. The expert upholsterers at W&B Jaehne Upholstery & Décor handle all types of furniture recovery, from diamond buttoning to stitched edges. You can count on them to fix your prized antique furniture and your expensive modern décor fixtures too. Win’s talents serve marine applications as well! W&B Jaehne Upholstery & Décor offers boat interior upholstery, meeting the design, seating, comfort and durability needs of marine manufacturers and boat owners who enjoy the good life. Walking to the nearest furniture store or a big one in the city to order a furniture set, armchair or couch has become all too common. This is probably why you are likely to see the same style and type of furniture adorning homes. However, discerning homemakers, business owners and companies opt for custom-made furniture that reflect a particular style, create a certain mood or even just make a personal style statement. And they trust Win Jaehne to use his creative skill to make furniture pieces that tick all the right boxes.